H and R Camborne windows come in all shapes and sizes and a range of colors. Our UPVC double glazing is among the most competitively priced options in Camborne and the surrounding area. We provide UPVC window in Hayle and the surrounding area. Our Double glazing windows are made from the industries finest materials and all of our designs come made to measure and in a choice of styles and colours. If your looking for tilt and turn windows, sash windows or bay windows in Hayle then you can be sure that H and R are the compan y for the job. We have a team of expirienced hayle window fitters and offer free no obligation quotes on all of our work. You can contact H and R windows by emailing rob@handrwindows.co.uk. If you prefer to call us please visit our windows section to see all the types of windows we can provide. H and R Windows have been supplying and fitting UPVC windows in Cambourne for over a decade. All of our windows come made to measure and we can accommodate any unusual featuers your home may have. 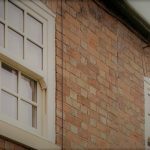 We have fitted Bay Windows, Sash Windows and Tilt and turn UPVC windows in Cambourne and it’s surrounding area. You can contact H and R windows by emailing rob@handrwidnows.co.uk or by calling us Monday to Friday. If yu rewuire further infomation about our windows our our products you can visit liniar.co.uk. They have a vast amount of information about our windows and our frames. H and R Windows offer quality south West conservatories for as little as £6995. 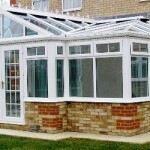 All of our South West conservatories are completely bespoke and unique to your home. 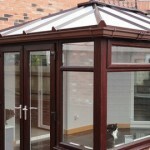 We offer a range of different styles including Edwardian, Victorian, Lean-To and P Shaped conservatories. For more information or quotes please give us a call and we can discuss our services and your needs. H&R Windows are Cornwall’s market leaser in supplying and fitting Cornwall windows. We have everything you could ever wish to choose from and all of our Cornwall windows come with guarantees. 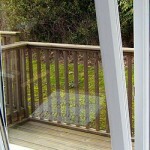 Weather your looking for wooden, aluminium or upvc Cornwall windows H&R Windows Cornwall are a company you can trust. Having been trading for well over ten years much of our business is gained through word of mouth and our impressive testimonials. You can call us today to discuss the types of windows, doors or extension your home requires. All of our designs can be made completely bespoke to your needs, so if your house has any unusual fittings, shapes or fixtures you can be sure that our Cornwall Windows will be made to compliment. We are based in Redruth Cornwall but fit and supply to the whole county and it’s surrounding areas. We offer free quotes and advice so please do not hesitate to contact us to discuss what we can do for you. We also take great pride in quoting realistic prices and carrying our all of our Cornwall Window fittings with in a professional and friendly manor . We have a wide range of products to choose from and if we don’t already stock it you can be sure that we can get it. We also provide Doors, Porches and Conservatories and you can browse through our extensive website knowing that you are dealing with the best home improvement company in Cornwall. Please visit our Windows Cornwall section for a full description of the services and products we are able to offer. We also stubled across this intesting article about Cornwall Property and what the ideal windows and doors should be for the current Cornwall climate. Please call us on 0800 7311 718 for information on our services, products and the endless home improvement options that we have for you and for your household. Tsection Web Directory — Add your URL today! High Security Locking Mechanisms: All of our bespoke Cornwall conservatories are built with top security locking mechanisms. A Wide Range of Colours: As with all H&R Products we offer a limitless range of colours for your conservatories. A Rated Planitherm Glass as Standard: The most energy efficient glass is used to ensure the energy efficiency of your conservatory. Insurance Back Warranties: All H&R Products come with insurance back warranties so that you can be assured your product is covered. Recommended Electricians: H&R Windows will personally recommend an electrician to finish your conservatory to the highest of safety standards. Contact us today for free quotes and information about our bespoke conservatoires. Contact us today for free quotes and information on our products and services.